45mm laminated steel core for higher strength. Stainless steel ans zinc outer sleeve for weather resistance. Exclusive octagonal boron-carbide shackle for maximum cut resistance. Double deadbolt locking for added protection from prying and hammering. 5-pin cylinder for increased pick resistance. Excell padlock is perfect for indoor and outdoor applications and ideal for securing fences, sheds and gates. The Master Lock Excell range was created using cutting edge technology, including the latest boron carbide material and are 50% stronger than a standard padlock. 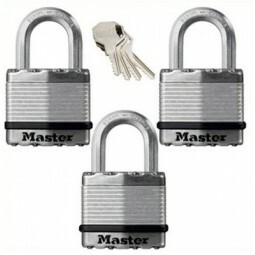 This padlock range includes over 40 registered patents. Master Lock Excell sets the standard. Master Lock is the worlds largest padlock manufacturer and stands for strength, quality, innovation and value across the world. 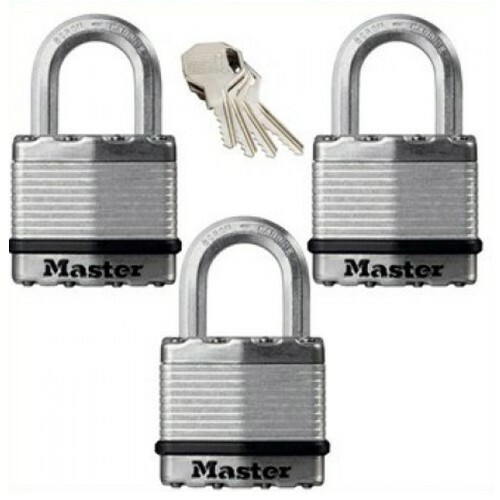 All Master Lock padlocks also come with a Lifetime Guarantee.